Loving one another obediently, including our enemy, shows that our Unseen Creator lives in us. 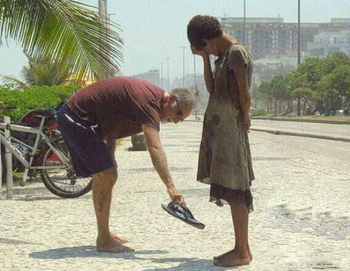 Whatever we do for others shows, just as if we did it for God. Showing reverence to elders displays reverence toward our Creator. Bowing shows we acknowledge our Unseen Creator. Doing good shows we are devoted to God. A woman’s physical head-covering shows that she’s under God’s Spiritual authority. If we say we have faith it will show by what we do. When we give mercy to those who have sinned against us it shows that we have received God’s mercy. What we do is more telling than we think.